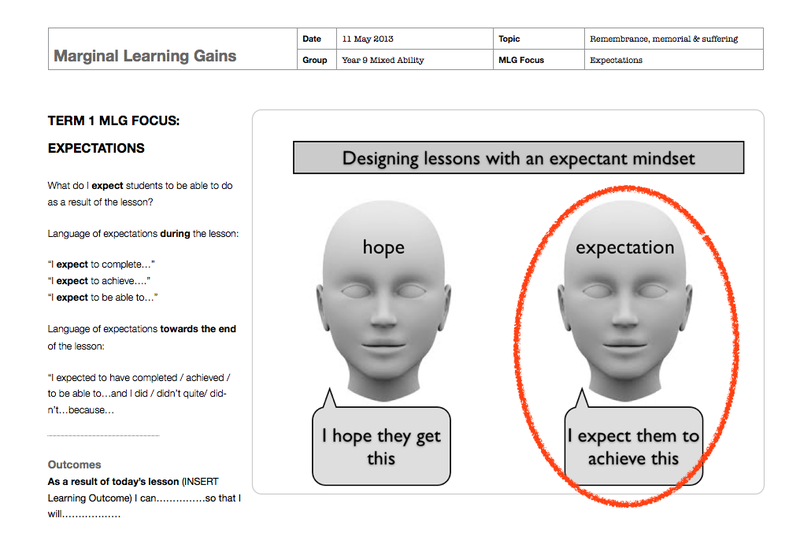 As MLG is all about holding a sustained focus on a specific element of pedagogy, the trick is to maintain a focus on your identified MLG throughout a lesson or series of lessons. 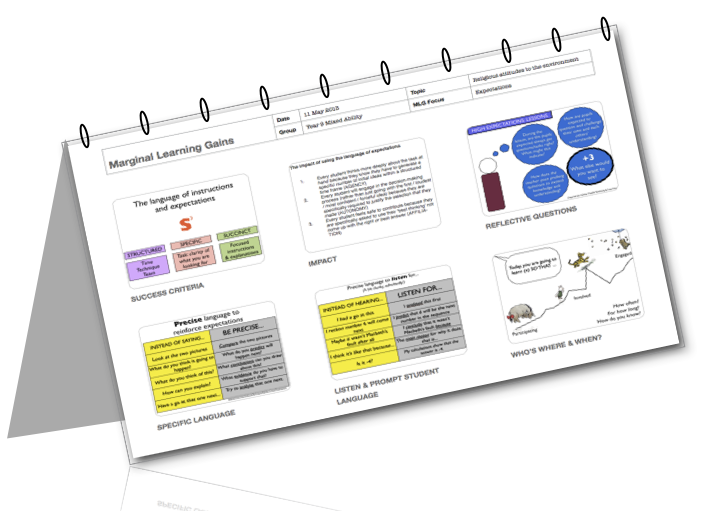 The MLG Repertoire Card is designed so that you have a visual prompt to keep the MLG uppermost in your mind as the lesson progresses. 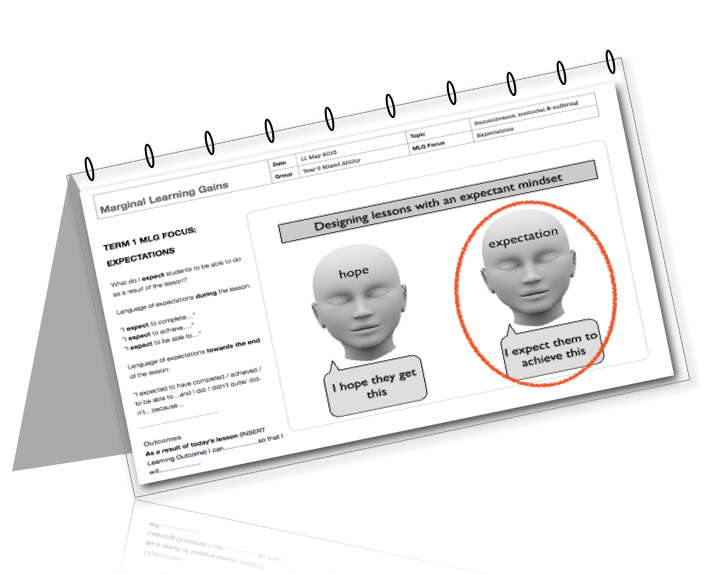 You can also create a space on the card to record observations and reflections during the lessons, thereby building up a living document of responses, reactions and impact on learning of the MLG you are developing. By keeping your MLG at the forefront of your mind, you can refer to it during the lesson and share your focus for the lesson with your learners. In this way, you are inviting them into the ‘secret garden’ of the curriculum so that they begin to develop an awareness of the process and organisation of learning you have designed for them. 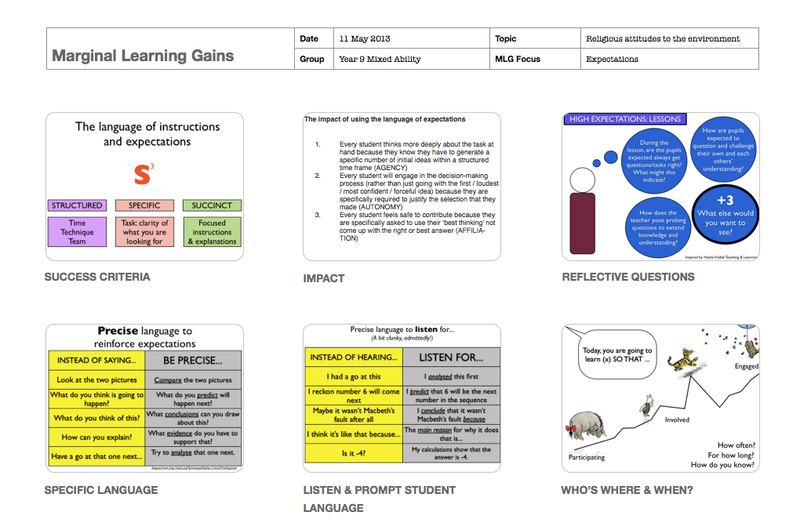 This original Marginal Learning Gains repertoire card is featured in a post over on www.fullonlearning.com. I’ve had a go at adapting this into a format that would work as a desk calendar style MLG Repertoire Card and there’s another version in the making (watch this space). The one below is a mock-up of an MLG Repertoire Card that can sit on your desk to keep your MLG focus at the forefront of your thinking. As with all of this work, whilst the MLG Repertoire Card is a lovely thing to have, it is actually the creation of it that is the GLUE of the MLG reflection process. 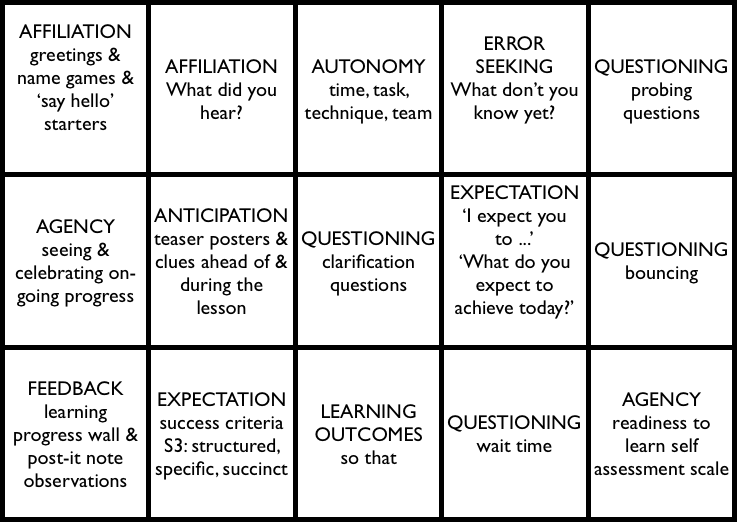 The creation of the MLG Repertoire Card can only come about as a result of a coaching conversation that IDENTIFIES the missed opportunities in the lesson. 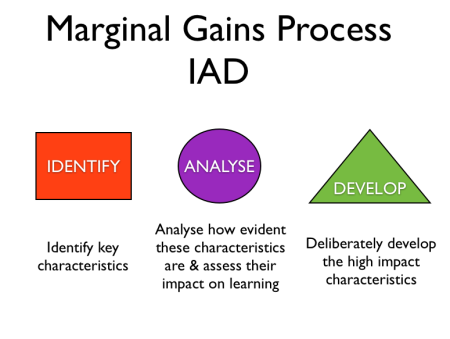 The coach can then guide the coachee through the ANALYSE phase so that they are able to unpick the component parts of the Marginal Learning Gain that they have decided to develop. In placing the MLG process at the heart of a coaching conversation and working with the coachee to co-construct the ‘how-to’ aspects of the Marginal Learning Gain, the level of AFFILIATION is exceptionally high. Not only that, by offering the coachee the opportunity to analyse the key characteristics and then make specific selections as to what exactly they will plan, do and develop, the quality of both AUTONOMY and AGENCY are similarly very high indeed. Brilliant post from Zoe Elder…Really enjoying your blog.